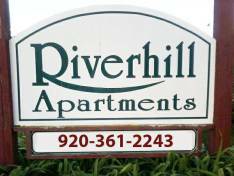 Welcome to the Riverhill Apartments homepage. Located in the beautiful city of Omro, we can provide you with a relaxing, comfortable, and private living environment. Feel free to contact us with questions or to set up a showing. Also, you can check out details or see pictures of the apartment itself by selecting one of the pages above.